"One hundred years ago one of the worst injustices in Arctic exploration began unfolding on the northwest coast of Greenland...(Cook) had made an incredible journey across Elsemere to Axel Heiberg Island and then through Jones Sound...(it) has no parallel in polar annals...a masterpiece of Arctic survival." Pierre Berton Award recipient and medalist of the University of British Columbia for history. 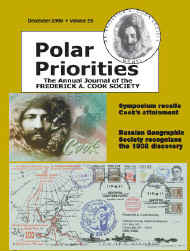 Fellow of the Royal Canadian Geographical Society and author of the "Arctic Discovery Quartet." 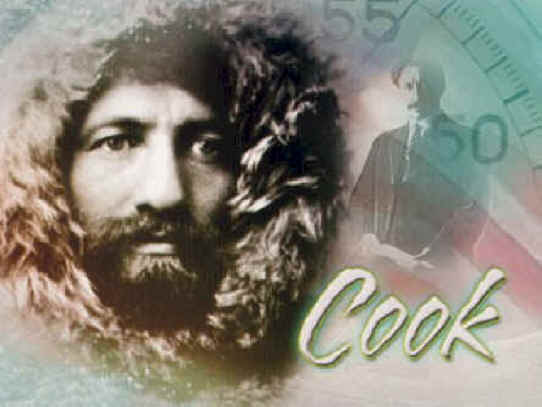 "Frederick Cook remains as one of the most perceptive as well as the most vilified of polar explorers...Cook had made a discovery that no amount of humiliation could take from him and one that only the most fortunate and observant of arctic explorers ever learned." "The Last Imaginary Place: A Human History of the Arctic World"
"If some insist that history must be served, let them remember that the more we come to understand the physical geography of the Arctic Ocean, the more we recognize the phenomena described by Cook but unknown at the time of his journey." "There is no ground to question the validity of Dr. Cook's assertion that he reached the North Pole." Who Was Frederick A. Cook? June 2009: What's New on the Web Site? How did Peary's claim trump that of Cook? How is it that Cook has been basically dropped out of our history books?